FRIDAY, NOVEMBER 14 (6pm ET/3pm PT) This week on Kroll Call, we’re headed to the movies with Steve Tom for a look at his new film Dumb and Dumber To. 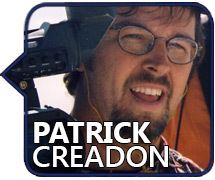 Then, it’s a film of a different kind as Patrick Creadon shines a spotlight on childhood hunger in his touching documentary Going to Bed Hungry: The Changing Face of Child Hunger. And Sam Saboura is helping brides on their wedding day by giving them Something Borrowed, Something New. It’s no dumb luck that actor Steve Tom is with us this week. Steve appears in the new comedy Dumb and Dumber To, a sequel twenty years in the making to the Jim Carrey and Jeff Daniels’ laugher Dumb & Dumber. Steve previews the new film and reveals how hard it was to keep a straight face while working on the film. He’ll also give us a sneak peek of his epic new web series, Alesia. Dumb and Dumber To opens in theaters nationwide on Friday, November 14. Then, the idea of children not having enough to eat is especially upsetting as we approach the holidays, but what many people don’t know is that 1 in 5 children face hunger in America today. It could be a neighbor or friend. As part of Unilever Project Sunlight’s campaign, famed documentary film maker Patrick Creadon captured the faces of hunger across America in a touching short Going to Bed Hungry: The Changing Face of Child Hunger. He shares the important details of what he learned during the filming process and what we all can do to help. And top stylist Sam Saboura is helping brides make life “altering” decisions for their wedding day on the TLC series Something Borrowed, Something New. He’ll preview what’s ahead on the third season of the hit series and even offer some advice to brides-to-be listening in. Something Borrowed, Something New airs Fridays at 10pm ET/9pm CT on TLC. Kroll Call is a weekly, hourlong entertainment program (Airing FRIDAYS at 6pm Eastern/3pm Pacific) that connects the audience to their favorite celebrities, offers advice and expertise on a wide-range of topics, and even lets the audience become part of the show. 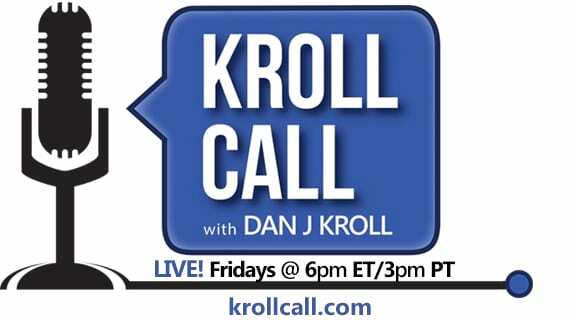 Kroll Call airs live at 6pm Eastern/3pm Pacific on krollcall.com and the VoiceAmerica Talk Radio Network. It is available for free on-demand on iTunes, Stitcher, and krollcall.com. First Impressions: Will Cinderella Sweep You Away? Date Night On A Budget!